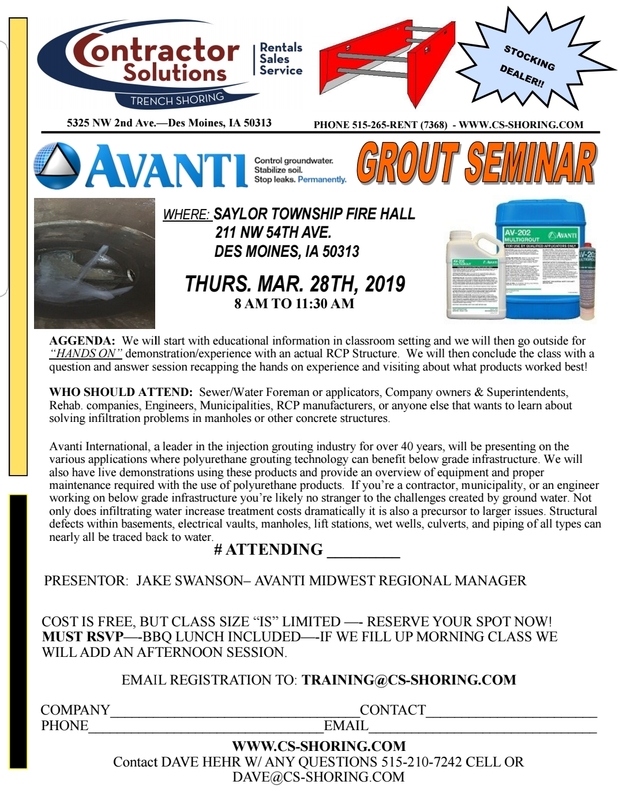 Sign up today for our Avanti Grout Seminar on Tuesday, March 26th in Omaha, NE and Thursday, March 28th, 2019 in Des Moines, IA. Email us at: TRAINING@CS-SHORING.COM with any questions! Sign up today for our free Avanti Grout Seminar in Omaha, NE and Des Moines, IA! Jake Swanson, from Avanti will be presenting the seminar. We will present on Avanti products as well as go outside for “hands on” demonstration with an RCP pipe or structure! The class is free, but you must RSVP for the class! Lunch will be provided. 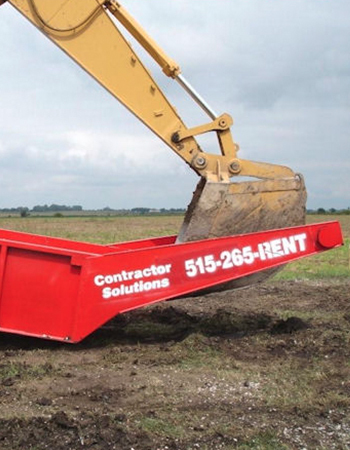 We are a rental and sales company that specializes in products for the underground construction industry. Founded in 2006, Contractor Solutions was started to offer contractors a quality product with knowledge, support, and service behind the product. The customer is the most important part of our business. Our goal is to offer you the best product at the most economical price possible to help your business stay successful. We are here to get you what you want and what you need to get your job done right! 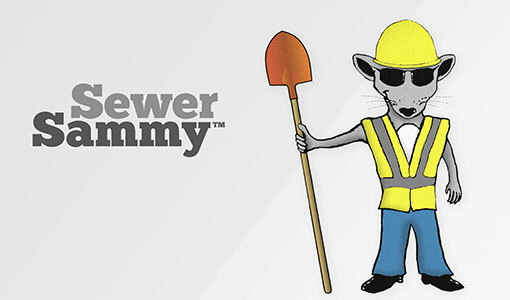 We offer a wide variety of products for all your construction needs. Allows for the free passage of sludge/ solid for up to 91 feet. 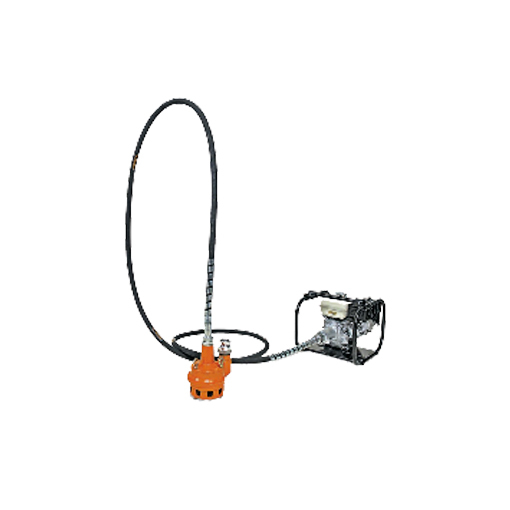 Choose from gas, diesel, electric, pneumatic drive units. Click here to learn more about The Muddy Miracle. We value your feedback. Have a suggestion? Send it to us.